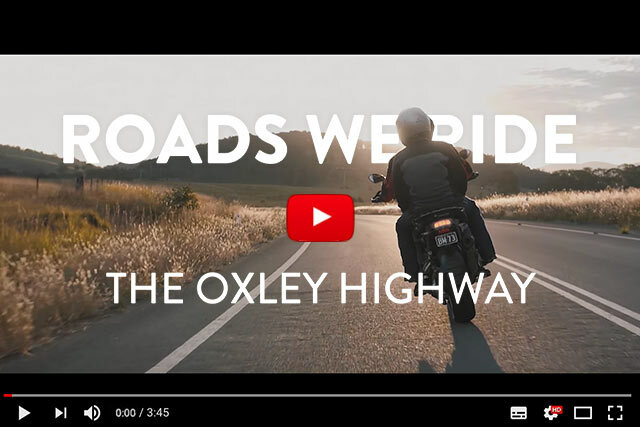 You may remember recently when we teamed up with Cam at Stories of Bike to create a video called ROADS WE RIDE for Transport for NSW’s motorcycling safety initiative. Here’s the third one in the series, and we’re thinking that it’s the best so far. 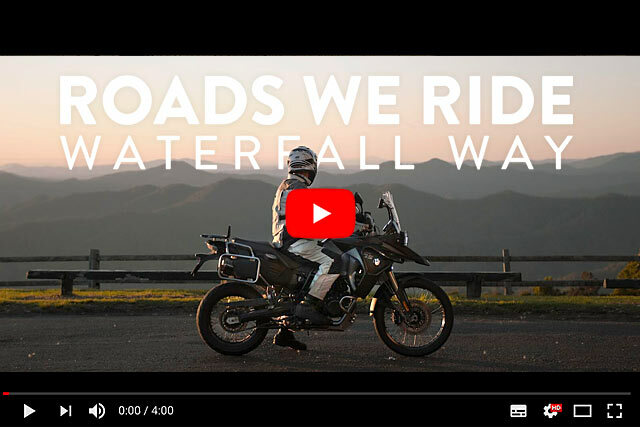 You may remember back in September, when we teamed up with Cam at Stories of Bike to create a little video called ROADS WE RIDE for Transport for NSW’s motorcycling safety initiative. Well guess what? It went gangbusters, so they asked us to make another one. It’s probably fair to say that we don’t post as many bike videos as we used to. With the possible exception of a Shinya or Hazan, we’ve seen more than enough Canon 5D footage of beardy guys making sparks in garages. Hell, this year’s One Show video has even started taking the piss. But then, just when we think we’ve moved on, we’re blindsided by something so beautiful, so deft and so original that you feel as if a veil has been lifted from your eyes. Introducing ‘Coste Contemplation’ by Thibaut Grevet. It’s a short piece featuring French photographer and motocross freak Dimitri Coste, who also happens to be the brother of Jerome Coste, the founder of Ruby Atelier. And it’s amazing. In the world of meteorology, a perfect storm is defined as a series of once-in-a-lifetime circumstances that combine to form a weather event of an almost unbelievable magnitude. Put simply, it’s a whole bunch of freakishly bad things getting together and raising hell. So what do you imagine would happen when a whole bunch of freakishly good things got together and raised hell? Well, wonder no more because here we have one of our all-time favourite Harleys. Which itself was made by the boys at Evolution, one of Australia’s best builders. 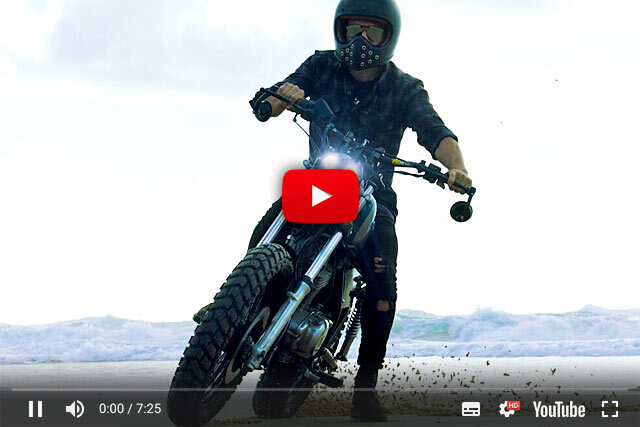 And then the whole thing has been captured on pixels by one of Australia’s best motorcycle videographers – Cam Elkins from Stories of Bike. So batten the hatches, stock up on the non-perishables and press play on this rather epic piece of custom bike awesomeness. Here’s ‘Forge’. It’s almost been 3 years since Shinya the “motorcycle mechanic” starred in the stunning short film called the ‘Smell of Oil’. 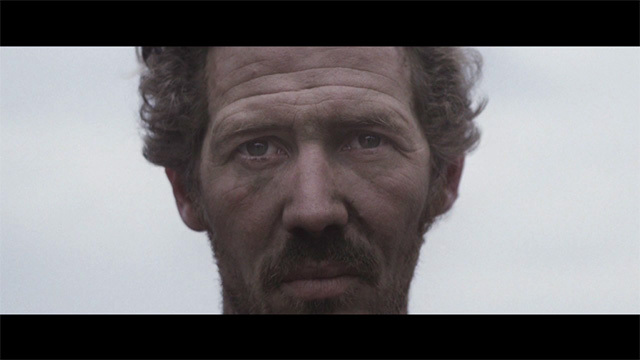 Well, we are glad to see he is back in front of the camera with another beautifully shot film. This time it was directed by Danielle Levitt and shot by Evan Scott as a supplement to the third issue of On Paper Magazine. Shinya not only builds some of the most amazing examples of moving sculptures but he is also one of the most intriguing personalities in the motorcycle scene. In the film, Danlelle digs a little deeper into what makes Shinya tick and the feeling he gets when riding his machines. In the end, the film left us wanting one thing… to go for a ride with this master of metal. How about you? Check out Danielle’s site for more photographs of Shinya in his element. As a southern hemispherian, I have a strange relationship with winters. And I’m not talking about the kind we get down here. In fact, calling those ‘winter’ is akin to calling Nicki Minaj an ‘artist’. But just like any other westerners, we grew up with images of Frosty the Snowman, sleigh rides and ice skating on frozen lakes. What the picture books and stop motion Christmas specials conveniently avoid, though, is the nastier aspects of la saison d’hiver. Like the heating bills, shovelling snow, and worst of all – the fact that your bike stays put for what seems like an eternity (hello North Eastern America if you are reading this.) But is that really a negative, or is it a customiser’s blessing in disguise? 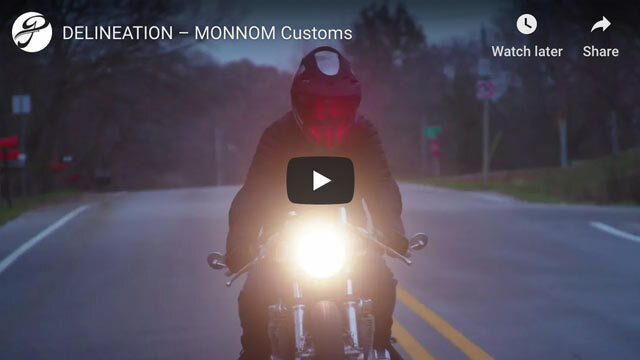 Hold that thought while you watch the latest video from long-time Pipeburn contributor and good mate Andrew David Watson. It’s a piece he’s done with Cast & Salvage, a very cool-looking Philly bike shop. As Andrew puts it, ‘winter is in full force up here, and we still have another month or two to go, so hopefully everyone watching has a winter project to keep themselves busy with until it’s riding time!’ Enjoy.